Lyric Hearing Aid Review - Is It The Right Choice For You? Updated November 4, 2016 – Continue reading for a complete Lyric hearing aid review. The Lyric hearing aid device is what I would term a “semi-implantable” hearing aid. Fitters have to have specialized training to implant and remove this tiny earpiece. The patient is not supposed to remove the hearing aid. The Lyric hearing aid is worn for several months and then is discarded and replaced with a new implant. The battery is a sealed system, and there is no way to remove or service the battery. The patient buys a “plan” covering a period that allows them a certain number of replacement Lyric hearing aids over the time span contracted. Prices vary, but the Lyric hearing aid cost is in the one to two thousand dollars an ear per year. Given the average lifetime of a standard hearing device, you are looking at a significant investment beyond the cost of a more mainstream system. Our Lyric hearing aid review found the Lyric hearing aid appeals to individual patients for several reasons. That might sound good on the surface, but I think, fail under the strong light of scrutiny. Lyric hearing aid review found some patients want to think “I am getting a medical solution to my problem, rather than a prosthetic device. The patient may be drawn to the idea that they are not being “sold” for thousands of dollars, they are leasing it for several hundred every couples of months. But more traditional medical devices, while having a higher upfront investment, are owned outright and will service the patients’ needs for years to come. “Leasing” an aid for even a hundred dollars a month, will add up pretty quickly. A professional who will offer a “trial period” fits most traditional equipment, so the patient is typically not stuck with a device that does not work correctly anyway. The Amp hearing aid is an entry-level product, designed for people who are transitioning into hearing assistance device. Lyric hearing aid review users found the product would not be satisfactory for anyone who has a “full time” need. The major advantage (and disadvantage) of the product is its low entry cost. It is a stock module that is adapted via various sleeves to fit the patient. It might as well be viewed as “reading glasses” for the ears. Just as someone who is transitioning into wearing spectacles might go to the drug store and buy a cheap set of reading glasses to wear occasionally; someone may choose to wear the AMP hearing aid for an hour-long business meeting and then take it off for the rest of the day. Battery life is directly related to how long the battery is in the unit. The AMP hearing aid requires that you remove the sleeve to remove the battery. That is not easy, but it is the only way to prevent the battery from depleting when the aid is not in use. The small battery that is used in the unit only has about 85 hours of use in it. If you purchase cheap batteries, store your batteries incorrectly or do not remove the battery from the unit when not in use- your battery life will be severely reduced. Most problems with battery life are related to the quality and storage of the battery. 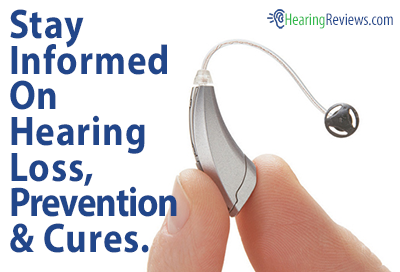 If a hearing aid is malfunctioning, it will drain a battery in a matter of an hour or so. If the battery lasts a day, then the fault most likely lies with the battery, not the equipment. Batteries need to come from a reliable source and need to be kept in a dry, cool place, away from the sun. Cheap batteries are usually not a bargain. The AMP has a limited ability to be programmed and “tuned in” to the patient’s hearing loss. The low price is appealing, but it is not without its’ drawbacks. The Starkey AMP people also offer a product that is a deep canal fitting along the lines of the Lyric. That product allows for the replacement of batteries and has a huge range of tuning and comfort options. If you have an ear that will accommodate this product, it is an excellent choice for cosmetics and function. It is not the least expensive thing on the market, but it is difficult to find a hearing aid that is invisible, good and cheap. In the software industry, the old saw is: you can have it cheap, fast and good; pick two. It can be fast and good, but not cheap, etc. With hearing aids, the line would be: you can have it small, good and cheap, pick two. A Completely In the Canal (CIC) fitting is a better choice for someone can’t accommodate deep canal fittings. More popular is the Receiver In the Canal (RIC) products from Starkey hearing technologies offer a wide array of technologies. Included is reasonable cosmetics, a huge fitting range, and good battery life. The RIC products are now available in systems that couple directly to the TV for vastly improved TV enjoyment and still offer a range of prices (directly related to function) for all budgets. Beware of looking only at PRICE. Patients should more concerned with VALUE. Seek the best value for your money, not the lowest price. If you buy a 50 cent product for $1, you have gotten a poor value. If you pay $10 for a product that is worth $15, you have a good value. Price and Value, do not mean the same thing. After many years in the industry, I would point to the idea that the hearing amplifier as a commodity and the pursuit of the lowest priced technology as the greatest reasons for patient dissatisfaction. Followed closely by the expertise of the dispenser. Seek a reasonable price on a quality product from a capable dispenser and you will be happy. This isn’t the only model we have, see the other Phonak Hearing Aids. I am considering the Lyric, I like the ease of use, the fact I can use iphone ear plugs with them and the fact I don’t worry about losing them. It is a huge investment and I would to hear from others who have owned them. i have worn Lyric for 4 years. I loved the quality of sound and how little effort they took. Unfortunately, the quality has suffered considerably so they only last 2 months, if that. Manufacturing changes over the past year have made these devices so unreliable that I am considering returning to CIC style devices. I just can’t continue to make frequent trips to Audi for replacement. Devices failed on two major vacations while I was out of the state, leaving me at a loss. Are you still using the lyric? I too have used them for the last four years and have loved them, but have less longevity and as of right now another one failed on our vacation. Also within the last year they switched to digital from their past analog platform and since have not been as good. It also has less gain now than before. I also am dealing with more occlusion in crowds. You too? I am on my third year of using the Lyric hearing aid. They are fantastic. The fact that they are analog is a huge benefit regarding battery life. Digital technologies are incorporated in modern design to compensate for distortions resulting from the distance of the device to the ear drum. Battery life is very short. Since Lyric sets within 4mm of the eardrum, the need for digital manipulation is unnecessary. The new, smaller Lyrics are extremely comfortable. There is no “plugged” feeling. And with six volume levels easily adjusted with a small magnet, they can be quickly adjusted to accommodate a wide variety of settings from television sound in a relatively quiet environment to noisy restaurants. As with any new device (contact lenses, traditional hearing aids), some break-in period is necessary to feel completely comfortable with them. My brain quickly learned to sort through the enhanced volume of all noises, along with becoming unaware of the inserted device. Any claims by manufacturers that they enhance human voice and filter out background noise is bunk. They basically just increase overall volume, with little differentiation of sound. The only problems I have had are when you get the Lyrics wet, although I take no special precautions showing everyday. Nor has sweat from athletics been an issue. Jumping in a swimming pool isn’t recommended. I have had a few fizzle out on me within days or weeks, but this is just recently. I suspect it was a bad batch as it had only occurred once prior to that. I am paying $3,400/year for the subscription service. Very pricey. BUT, the sound quality is as close to normal hearing as possible, far better than other devices, particularly digital appliances. AND, I don’t think about hearing issues, aside from periodic adjustments to compensate for noisy environments, such as my grandson’s basketball games. I recommend the Lyrics highly, if you can afford them. If you like the iPhone aspect you should look into the Halo or AGXsp hearing aids. They stream calls, and music straight to the hearing aids and are much more advanced in technology. They have some of the most advanced directional micraphones out there. Also in a study put on by the Audigy group a large portion of Lyric wearers developed repete ear infections and impacted wax issues. Wax naturally migrates out of the ear and with this sort of product it doesn’t have anywhere to go so it just keeps developing and building up inside your ear and eventually blocks the eardrum and makes it harder for you to hear. I am in year 2 of the Lyric. It works well for me and suits my lifestyle. (I have lost the behind the ear type). I like the fact that once it is seated I do not need to do more except turn it on and off. I do not need to clean, change batteries, store, or remove to wear a hoodie, scarf.. etc that would normally create feedback. I am not certain if I can snorkel with it inserted , and I do not know about active swimming. The only real issue I have had is that always when in a loud situation .. most restaurants etc… my ears plug much like I am in an airplane. Lately the feeling has been more constant. I will make an appointment with my audiologist and see if she can correct the issue. The improvement in my hearing is amazing. I have had them for about a year. I like the sound better than digital. I have a lot of problems with sinus infections. They sound baffled some times. I just don’t no if I will invest again for this type. But it is very nice to hear people talk without saying what all the time. I paid 3700.00 them for the year which is 300.00 a month. I feel that the Cos are ripping use off. A computer doesn’t cost this much. Need a temporary hearing aid for one ear because I lost the expensive BTE device somewhere in my house. Unless the loss is a result of Poltergeist (haha) it should eventually turn up. Any suggestions? I wear the Lyric and I love them. I have been wearing it since mid August/2014. It does take some getting used to because it is inserted way down deep. I freaked a bit at first insertion. I do have small ear holes. My right ear canal is shaped like an hour glass. I love the sound. However, since I have small ear holes and the hour glass shape to the one ear drum, the Lyric tends to back out of my ear. Then, I start having trouble hearing because the device has backed away from the hearing source, the ear drum. It doesn’t need a lot of fancy functions because it is up close and personal. It doesn’t sit outside the ear, therefore, you don’t get a lot of feedback and whatnot that you get with traditional hearing aids. The true test of these hearing aids is in a restaurant/loud situation. I can hear all conversations and follow along and hooray I can even participate. Previously I had BTE and in-the-canal ones. I hated the in-the-canal ones. The BTE’s weren’t bad but my hearing loss had become greater than they could handle. You trial them for 30 days and they have extended me another 30 days because of my ear issues. I would definitely give them a try. The closest thing to natural hearing in my opinion. By the way I am 51 years old, so, I’ve been dealing with hearing issues for a while. I have not been wowed by the Lyric device. I still have to ask people to repeat themselves. I only have it in one ear where i have hearing loss at the higher range. I have had to return several times to the audiologist because the device “screams and whines” far to much. I often have to turn it off to maintain sanity! A 1 year contract for 1900.00 is a lot of money, and i am seriously considering having it removed, even though i have 7-8 months on the subscription term. I would like to think that the vendor who sold me this crappy device will refund part of the subscription back to me, but i am not very hopeful of that happening. Big and expensive mistake. I am looking for some relief for my 30 year old son who has just last week gotten tintinitis in his right ear. I was told there is a hearing aid that can stop the ringing. He is absolutely suicidal over this ringing and I need help. Will the Lyric hearing aid help in this situation? Mary, does the no caffeine and Lipo Flavanoids really work. Perhaps I can get away with eliminting coffee and drinking tea instead, or do you think eliminating both coffee and tea is the better move? Thanks – really loud tintinitis @ 66. No hearing aid will eliminate all tinnitus. I am in trial , week 2 with Lyrica and my tinnitus has been reduced about 80%. To whom it may concern: I have been a lyric hearing aid wearer for two years. At first I had trouble with the #2 but finished out the year. Last September I renewed my contract which was $3300 for EACH year. The new #3s have not worked well with me. Each time I received new ones after 7 weeks, I have been unfortunate on several implants. Last Tuesday, September 22, 2015, I received new ones and flew to California to help my daughter with her cancer fund raising golf tournament. Patrick had to adjust the ringing in my right ear which has been a nuisance on several occasions. On Sunday morning, September 27, 2015 I woke up and my left ear device was dead and no sound was coming through. I immediately worked the wand to no avail. Tried with my pinky and pencil with eraser to make it work but nothing happened. Two hours later we were in a restaurant having breakfast and watching the Patriot game and boom the hearing aid came alive which lasted for almost two hours. Hearing never returned. I just returned from CA and tomorrow I am calling Madison Hearing for an appointment. Needless to say $6600 paid and not concrete results leaves me with no recourse to cancel any further lyric contracts and either stay with no aids or try something else. Perhaps you could compensate me somehow money wise because of my horrible experiences. My friends tried to convince me last year not to sign another contract and I should have listened. Your hearing aids do not work! I sent you a comment on my experiences which have NOT been favorable and never heard a response. My friends are discouraging others from purchasing your hearing aids. I have spent $6600 and the results were horrible. Please respond with a compensation to be mailed to me at 48 Harryel Street, Pittsfield, Ma. 01201. I am trying to decide upon a hearing aid. The time has come to consider a hearing aid. I’ve been reading about the lyric and might try them. However, swimming, snorkeling & scuba diving are a big part of my life. Would a bathing cap be adequate protection for these pricey devices? I am a 2 year wearer of the Lyric and live on a lake. I have asked everyone about the water issue and the best answer I received was that you might be able to go in for a quick dip, like in the shower. I am sure that you cannot go diving or go underwater for any length of time…To bad , I have tanks as well. I’m new to using the Lyric and after only a few days have issues. I have them in both ears, after a couple of minutes find the right ear switches off. Has anybody had this problem? My first thought was a flat battery which is a worry to me having to go back to have a new one fitted. 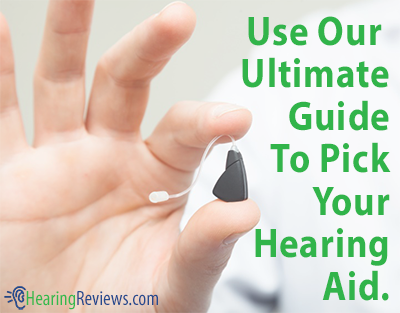 When you are comparing different options for a hearing aid, there are many factors to consider. The sound quality, appearance, and endurance matter the most. You consult your audiologist in this regard for better guidance. I remember my first day wearing Lyrics in 2011…I walked out of my audiologists building in NYC and could hear the world!!! I had different hearing aids in the past and simply couldn’t stand wearing them They had feedback and were absolutely horrible near any type of fan. But the Lyric allowed me to hear all of the time and beautifully. Everything sounded natural. In restaurants I could hear everyone talking even with background noise. I believe Lyric was owned by a different company then and were bought out by Phonac Improvements were said to have been made, but for the last two years I have found my Lyrics to not sound the same or have the same quality of natural sound. I am hoping Phonac will improve them or simply return to the originals. My audiologist says Lyrics are not being well supported by Phonac He want me to try a hearing aid. The batteries would have had to be changed every three days. That is insane. It is for the battery company to make money. The long life battery is a very important part of the Lyric. I have thought about changing and I cannot give up the freedom of not even thinking of my hearing aids and being able to sleep in them. I have dived waves with them when I had to I just shook my head and back came the hearing I also snorkeled with a band around my head and silicone pads on my ears Worked great I always have an extra pair to swap out myself. I use a Q Tip to put it in. This way I can go on long journey and not worry about my hearing. I am hoping that the Lyric will be supported and that the quality control will improve in the near future. I have been wearing Lyrics since the Fall of 2011. I too remember walking out of my audiologist’s office and being able to hear the birds sing and the ticking of a clock in a quiet room (and I have moderate hearing loss). The sound is very natural especially in the original analog model. There are drawbacks, however. Unlike my BTE aids the Lyric replaced, in noisy environments the Lyrics do not work as well. Programmable BTEs have 2 directional microphones and in noisy environments one mike can be turned off for better conversation. Due to the Lyric’s design (in the ear) there is only one mike. So the best you can do is adjust the volume. Tip, in very noisy environments try putting them in “sleep” mode. It reduces the ambient noise and picks up other people’s voices near you because they are speaking loudly over the din. I tried swimming with the original Lyric’s but even when using a headband and wax plugs water got in and caused infections. I agree with the others that the new Lyrics have quality problems (although non-water induced infections have disappeared). I recently had 2 sets in a row where they lasted one week then 5 days. Sinus problems can also be a challenge for Lyrics (difficult for air pressure to equalize) and if you have a type of earwax known as “liquid cerumen” apparently that “destroys” Lyrics. Overall (when they’re working) I still prefer my Lyrics to my back up BTEs for convenience and sound quality. I just wish Phonak would solve the quality issues! Finally, I pay $3400 a year for two and I get a great audiologist as part of the deal. We have paid $3700 for a year supply of those. The device is wonderful when it works. However my husband has to return to the fitter at the other end of town, more often than once a week because as soon as he returns home, one of the two implants dies. This has been going on for over 3 months now. The fitter keeps saying that she has received a bad batch. I am beginning to suspect foul play. Has anyone else had such experiences in Phoenix Arizona? I suppose it is easy to take advantage of aging people. The audiologist recommended a costume made ear plug for $150 dollars. Does anyone has tried those? I started using Lyric about 7 months ago. I never realized how bad my hearing was until I started using them. The initial experience was amazing. The first set lasted almost 4 months! I had some issues with static and other constant background noise, particularly in very noisy environments. After a while, my brain learned to filter out some of those noises. Everything was great until a few months ago. Now I have had to replace them every week. Apparently, they had a bad batch of batteries that seems primarily related to shipping in cold winter weather. Fine. Things happen. The big issue for me is that they knew about it but didn’t replace the stock. Instead they let patients continue to work through the bad ones. The result is that my ears were bleeding from constantly pulling them out to replace and constantly going to the audiologist. Frankly, I think that someone should consider a class action against the company. It’s really ridiculous. I am considering switching. If I do, I will not use another Phonak product. I am considering Soundlens by Starkey. I really don’t want to deal with the cost and hassle of changing batteries every few days. I plan to reevaluate after my current subscription is up. Too bad. This could be an ideal solution until technology catches up and there are better implantable devices. If you are looking for a hearing aid that can fit down 2 mm from your eardrum and able to take it out as needed and have the linear sound so you can understand speech in noise and be able to pick apart all the background sounds so that you can decide which sound you want to concentrate and which to put aside and only pay 4200 for the set then get Liberty. Liberty has the same processing as the cochlear implant. It was designed by Dr. Blamely who designed the processing system for the cochlear implant. These aids are the opposite of the WDRC (wide dynamic range compression) that is in all the other digital hearing aids. Go linear. Liberty also offers many other styles, not only the IIC that fits down near the eardrum. They are American made in Texas and half the cost because there is no overhead. You can buy them at Sam’s Club and if you are a traveler, you can visit any Sam’s Club to have them looked at. I have been a Lyric user for 3 years and for the most part have enjoyed the product and would have recommended it to anyone in need of a hearing device. As of May of this year I started to have problems, primarily with battery life and secondarily with sound quality. I thought it was just me but thanks to this blog I now know it is not me. My contract is up next month and I now have to give this some serious thought. Comparable Options don’t seem to be very good. Thanks to all for their input and keep sharing your thoughts and experiences. On my 30 day trial, have had to have 1 replaced, kept feeding back / tone for no reason,. If I smiled made a nose, if I eat it makes a noise. But it’s only in the left ear. After 24 hours, it was replaces. Now the second one is starting to do it as well, same ear. I now have both ears on the lowest settings. I don’t want to run back to Audio for every little thing so I’ll give it a few more days to see.. I know about the volume settings on these, but are there other settings that they can change, such as sensitivity, treble, etc. Sometimes the sounds are “tiinny” sounding. I want to be fair and give it a shot since I really do like the freedom and let’s face it the esthetics, you cant see them and I don’t feel like I’m handicapped or wearing boom boxes. I have used Lyrics for more than four years because of the sound quality and ease of use. However, the reliability has been extremely uneven. And this has gotten much worse recently. My audiologist is great and has been so accommodating but some of the Lyrics have gone out after one day, some a week, often in the middle of trips and vacations. They ARE very expensive considering heir unreliability and I agree with others that the sound quality has deteriorated. I will probably have to go another route. The company should be standing by its product with partial refunds. Where is the competition? I am a 30 min. drive from audiology so it is a real hassle. It has become a contant problem. how are you ???? lyric hearing aid price ???? I am two weeks in of the lyric trail period. I love the idea of them, being able to hear in all situations and the aesthetics. My Audi has been very accommodating but i can seem to get rid of the plugged feeling and random feedback noises. I’ve probably tried 2-3 for refitting in each ear. Does anyone have any suggested about tbis plugged up feeling? Do you eventfully X get used to it? Could this be a fitting issue? I don’t think my Audi has a ton of experience with Lyric. Any suggestions would be greatly appreciated.